My latest book, Bike Parade Vol 3, will finally be available for purchase at Books with Pictures on Division. 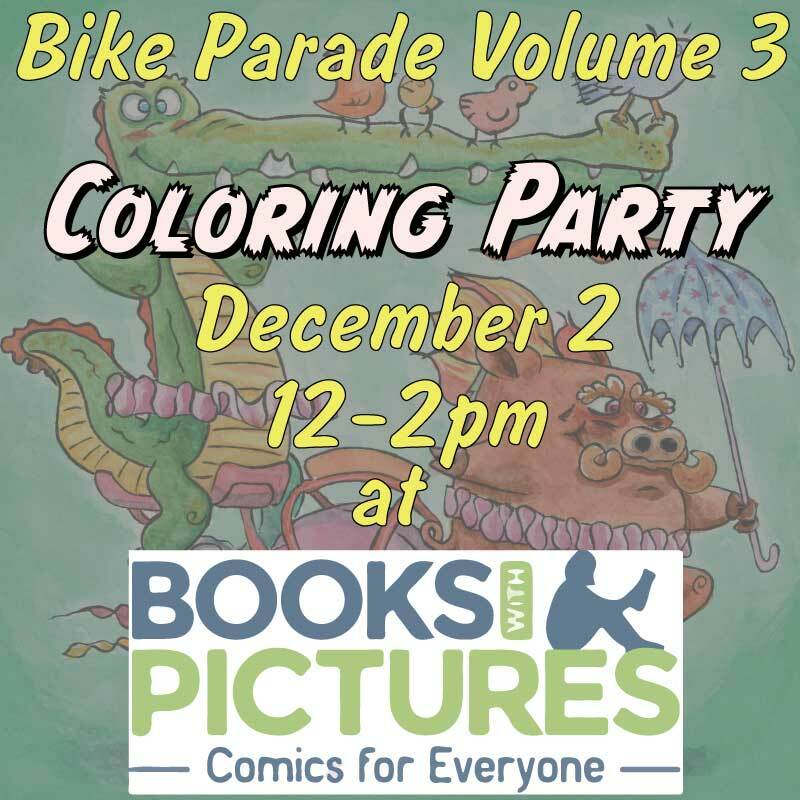 Join me this Saturday, December 2 at Noon to color some pages and pick up your own copy for the kids, yourself, or as a holiday gift. If you can’t make it then you’ll find me at BikeCraft on December 15-17. I’ll have all three of my coloring books for sale along with original prints.